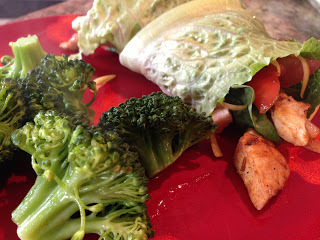 So something I like doing lately is eating chicken wraps. 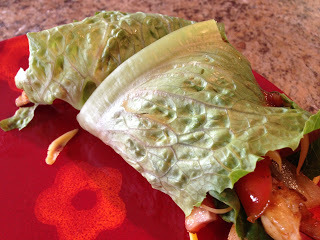 One day I didn’t have enough tortillas left so I did a lettuce wrap….and it was still good! 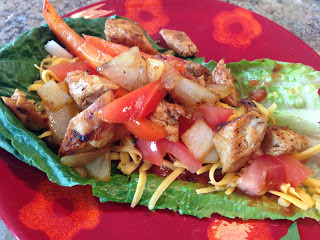 So try it, it’ll save you calories if anything and is allergy free (flour/gluten in tortillas). And talk about money saving, homemade tortillas are cheap to make but a piece of lettuce costs less than a cent, probably. Ha! 1. 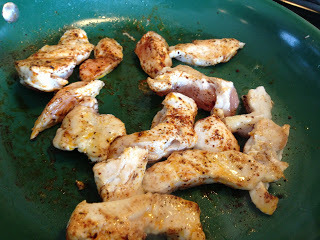 Cook the chicken in tbsp olive oil. I did a whole chicken breast, cut. Season with chili powder, pepper, salt. 2. As chicken was almost fully cooked I added onion and red pepper and cooked till they were soft and chicken was cooked thoroughly. 3. 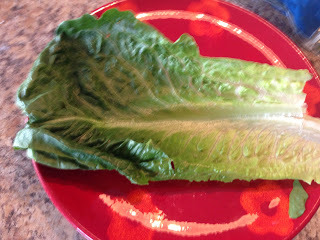 Get a large romaine lettuce leaf ready on plate. 4. 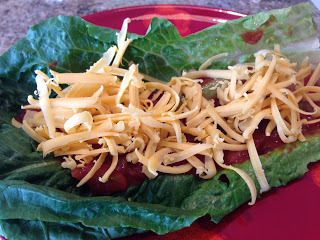 I put salsa on it first then cheddar cheese. I usually do hummus and actually like it better cause it’s creamy, but salsa sufficed. 5. 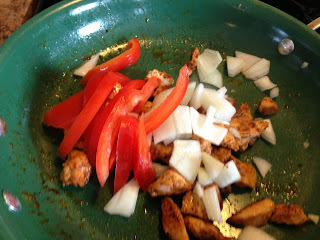 Then I added chopped tomato and the chicken/veggies mix on top. 8. Excellent lunch. You have a perfect ratio of food groups here with lots of vegetables, which is ideal since we don’t usually get enough in our daily diet. The more the better! 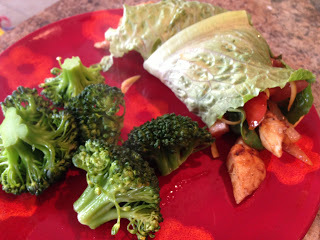 The next day I just reheated what I had left of the chicken and made another lettuce wrap for a snack instead of for lunch.